I first had Chef Yenni Law’s Smoked Duck Risotto a Chinese New Year ago, and liked it. I had it again at her restaurant Meatology Restaurant & Bar a few weeks ago and loved it. 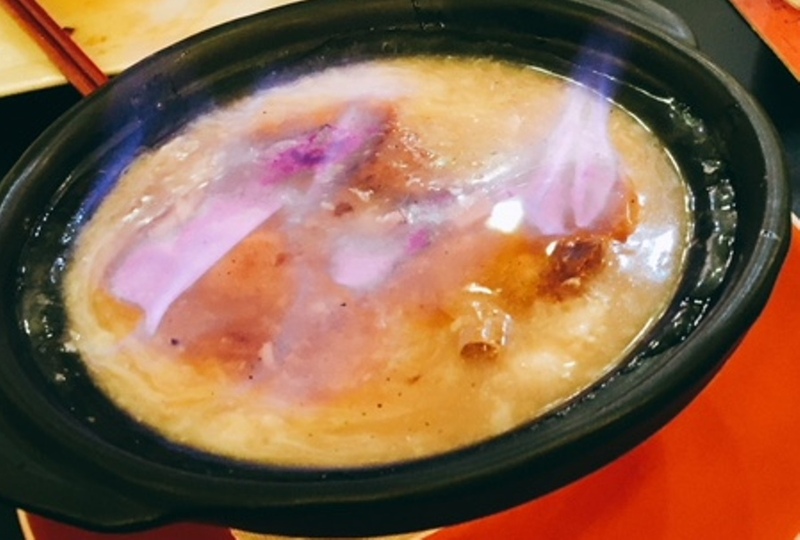 What’s not to like about this chef’s unique take on Lap Mei Fan? 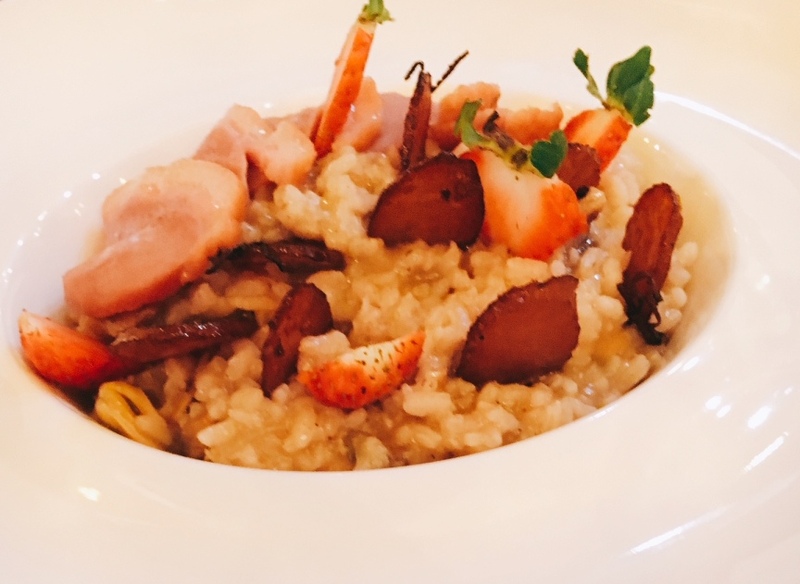 It’s cooked with Arborio rice together with waxed meats, dried oyster and mushrooms. It is studded with delicious fried slices of Chinese sausage made by her mum. The luscious smoked duck is her very own, smoked to perfection. There is still time to try Meatology’s Chinese New Year fare, beginning with the Yee Sang. 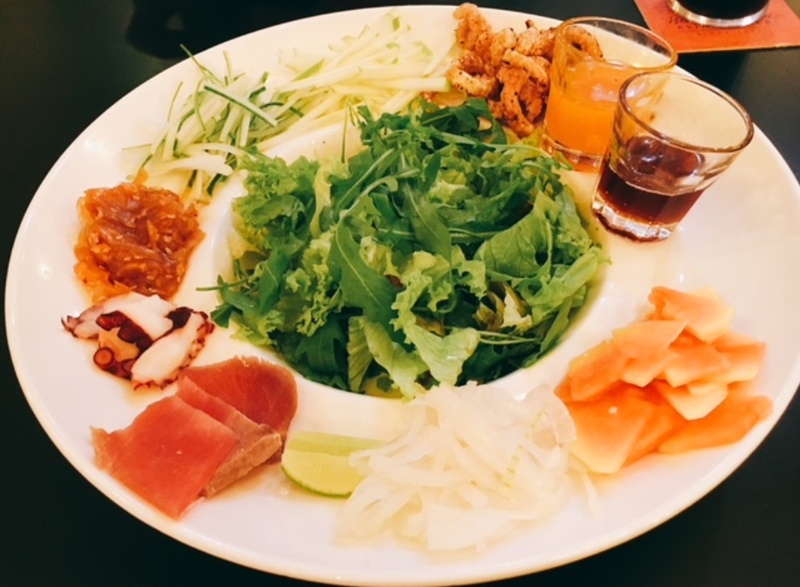 You do this Prosperity Toss with tuna sashimi, octopus, jellyfish, vegetables, fruits, leaves, pork skin crackling and tangy citrus dressing. Crunchiness and freshness rule, and who’s ever heard of pork skin crackling in a Yee Sang? If you are tired of all those over sweet Yee Sang with flour crackers and coloured pickles, try Chef Yenni’s version. It’s like eating a salad without leaving an artificial aftertaste. We absolutely loved the Flaming Crabmeat Soup at Meatology. There’s smoky ham, crabmeat and Xiamen wild mushrooms in it, each ingredient contributing its intrinsic sweetness. It was flambeed with brandy, leaving a lovely aroma. 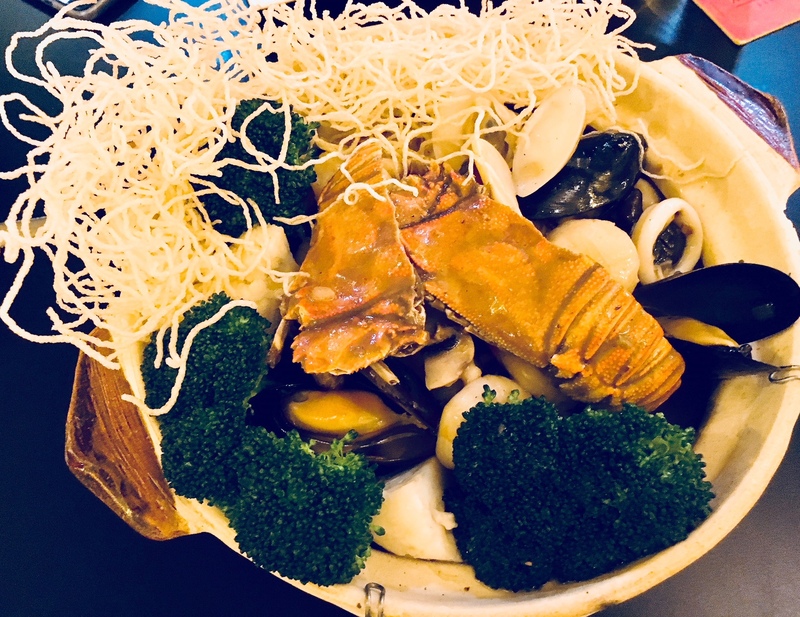 Next came Sea Treasures — abalone, mussels, scallops, prawns, baby lobster, clams, razor clams, squid, button mushrooms, cauliflower and broccoli served on a bed of glass noodles. All things auspicious for the Year of the Dog was in this claypot. The only flaw in this dish was the tangled mass of fried glass noodles which crowded the seafood. Otherwise it was a delicious combination, the very sweet juices of the seafood dripped down to the glass noodles and of course the chef had doused it with brandy too. This is a bar and bistro after all; it’s so easy to reach for the bottle. The chef gave the all-popular salted egg twist to the Blue Eyed Cod Salted Egg Thermidor. 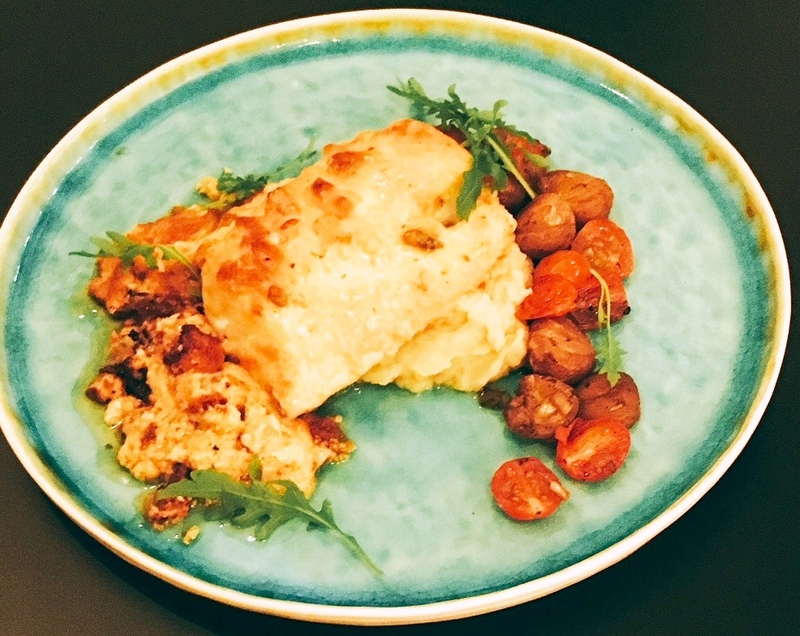 This Australian cod rested on a creamy, buttery potato mash and was served with salted chestnuts and baby tomatoes. Our cod was slightly overdone, but I didn’t mind it so much: you can be forgiving with salted egg. Anyway an overall deliciousness prevailed. Dessert was Crepe Suzette. 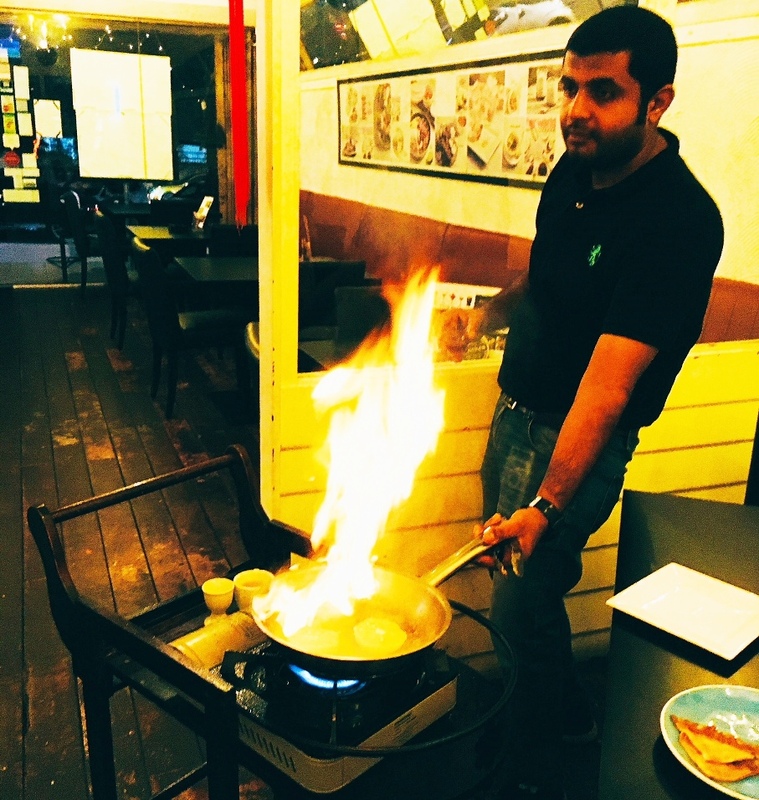 Meatology is one of those rare restaurants that does flambé desserts and steaks. It’s quite a show, the flames shooting up as brandy is poured over the orange sauce and lit up. 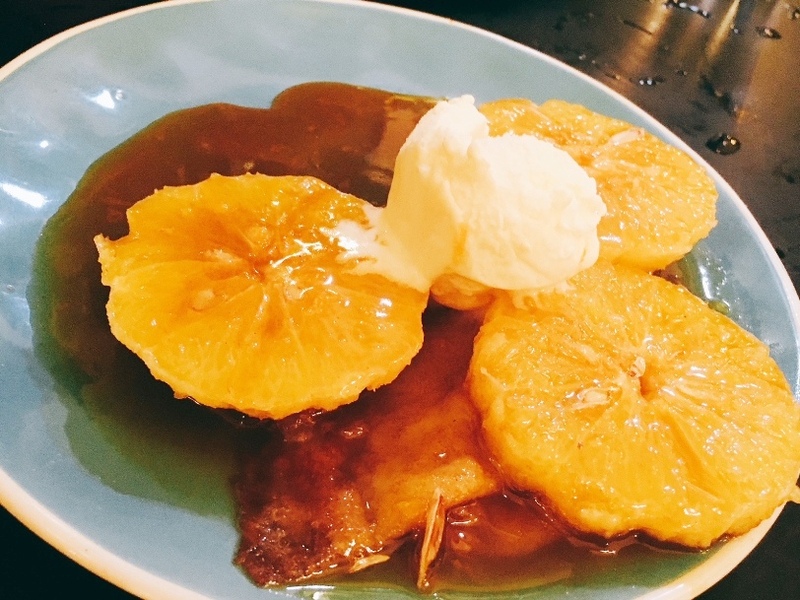 The large orange slices dwarfed the crepes, but I found them a refreshing complement to a rich dinner. The Yee Sang is RM32.80+, Flaming Crabmeat Soup RM29.80+, Sea Treasures RM88.80+, Smoked Duck Risotto RM43.80+, Blue-Eye Cod Salted Egg Thermidor RM118.80+. I have been to Meatology several times in the past years. Recently Yenni cooked a superb Smoked Duck Spaghetti with fried ginger strips for me. Memorable too are her steaks, and the menu specials when we were there included Kyushu Marbling 12 (Kobe) Loin Cut, served with porcini butter. The Veal Fillet with smashed spuds, mushrooms and truffle jus sounded good too. Not forgetting the Rum & Raisin Pie! Here’s the place to have a drink or two or three. They are so reasonably priced. In the drinks promo, you could have 3 drinks for RM63. Just choose from a selection of beer, stout, cocktails and wines. Chef Yenni is a star chef in her own right. 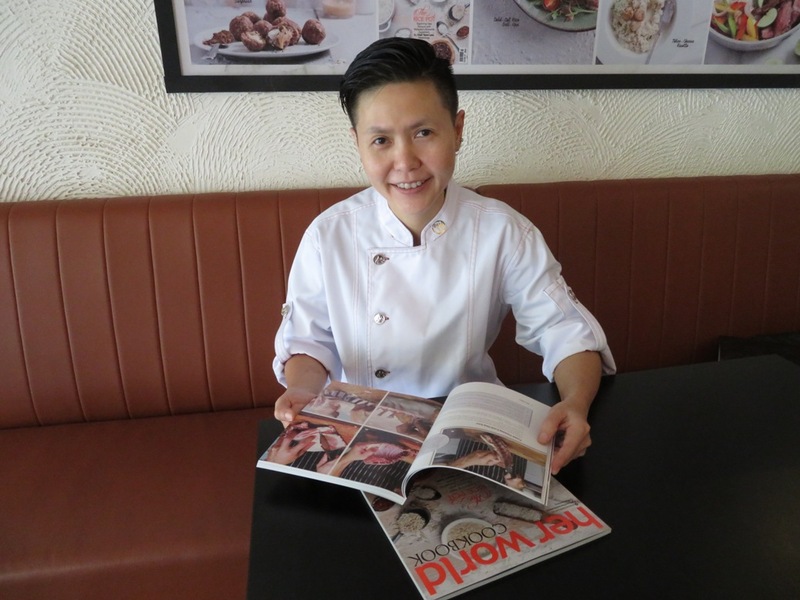 She has written 2 cookbooks – “Meatology”, published by MPH and “The Rice Pot”, Her World Cookbook 2017. 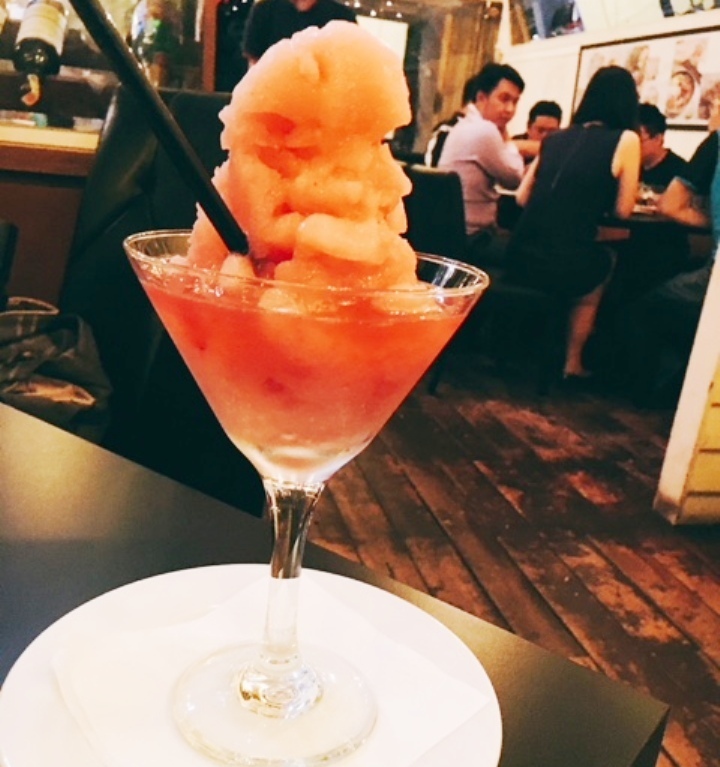 Meatology and myTH (the bar upstairs) are located at 16 Lorong Rahim Kajai 14, Taman Tun Dr Ismail, 60000 Kuala Lumpur. Tel: 03 7727 4426. Also check out meatologykl on Instagram and www.meatology.com. Hooi Khaw Eu has been writing for the longest time – on food, health, travel and culture -- for newspapers, magazines and a news portal. She loves eating, cooking and drinking but balances it with a keen interest in natural health.